SIA’s list of Global Power 150 Women in Staffing aims “to honor those female leaders making a difference,” and seeks to recognize “remarkable female leaders whose talents, achievements and passion drive their success.” The list, first introduced in 2015, initially included 50 women from North America and 50 women from outside North America. This year, the list was increased to 150 women in staffing from around the world. According to SIA, women dominate the staffing industry primarily through positions in branch offices, but on average, women occupy only 6 percent of the seats on the boards of directors at the 27 public staffing firms in the U.S. At TrueBlue, women comprise 40 percent of the board of directors, which was recognized by the National Association of Corporate Directors (NACD) in September when the company won the “NACD NXT Recognition Award” in the “small cap” category. Taryn Owen is president of PeopleScout, a global recruitment process outsourcing (RPO) provider, managed service provider (MSP) and total workforce solutions provider. She has led the successful acquisitions of Aon Hewitt’s RPO division and Australian RPO provider HRX, the integration of Staff Management | SMX’s MSP division and the acquisition of TMP Holdings LTD. Under Owen’s leadership, PeopleScout has become the world’s largest RPO provider and earned accolades from HRO Today’s Baker’s Dozen (including the top ranking for MSP provider customer satisfaction in 2018), NelsonHall and Everest Group. Owen also led the launch and implementation of Affinix, PeopleScout’s proprietary recruitment technology. Shannon Kahn is senior vice president of Specialty Services in PeopleReady, which provides clients with a flexible, temporary, on-demand talent pool for general and highly-specialized work needs. A staffing industry veteran with more than 25 years of experience, Kahn has led 25.4 million hours of sales in construction, 16 million in manufacturing and logistics, 7.2 million in heavy industry and 6.8 million in hospitality. She joined the company in 2003 and has risen through the ranks of several TrueBlue businesses, in some cases launching them from scratch. Loree Lynch is senior vice president of Operations for Staff Management | SMX, which provides comprehensive on-site management of scalable, contingent workforces across North America. Lynch was one of the founding partners of Staff Management and was a pioneer of the on-site staffing concept. She had the foresight to see growing interest in clients wanting embedded, on-site business partners that were a fully integrated part of their organization. Lynch and her partners began with one client in 1988, and that company is still a client. Today she leads operations with a focus on workforce development, risk, safety and is piloting innovative safety technology. Kristy Willis is senior vice president and chief sales officer for PeopleReady, one of the largest staffing organizations in the U.S. A staffing industry leader with a career spanning 26 years, Willis joined PeopleReady earlier this year to elevate the sales organization in TrueBlue’s largest business in the company’s largest market, North America. 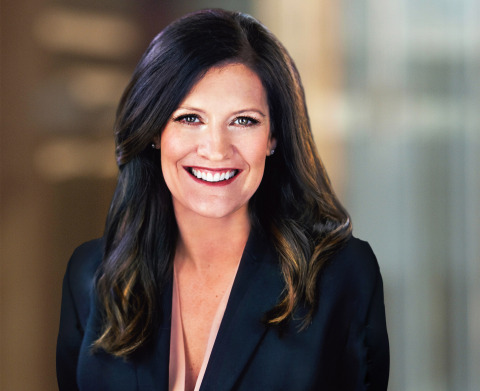 Prior to joining TrueBlue, Willis served as senior vice president for the Western Division for the Adecco Group, where she oversaw nearly $1 billion in revenue and managed a team of regional vice presidents across nine states. The SIA list marks the third time TrueBlue has been recognized for diversity and inclusion in as many months. In addition to the NACD recognition in September, in October, Maggie Lower, TrueBlue’s chief marketing officer, was named to the “OUTstanding LGBT+ Executives 2018, presented by the FT” list.